Speculative Romance Author Regina Paul: Author Spotlight with Aubrey Wynne 404 ~ Page Not Found! Henry tore his gaze from the painting, and looked around at the weekend crowd hurrying by. No one noticed him. He always blended into the background. Henry the Trifling—that would have been the title of his self-portrait. A soft sigh escaped as he pulled his gray coat over the frayed cuffs of a cotton shirt. There were extraordinary people and there were ordinary people. Henry considered himself less than ordinary. He was insignificant. He shrugged off the memory of his mother’s nagging image and looked toward the last group of art enthusiasts headed in his direction. This was his favorite part of the day. In a crush of people, everyone was equal. No one stood out in the sea of indistinguishable faces. There was no pressure to make witty or charming conversation. Henry liked people but had never been good at interaction. The anonymity of a crowd gave the illusion of belonging. For a man as painfully shy as Henry, it was the only way to mingle in a city like Chicago. Casting a last wistful look at the lady in the painting, Henry took a deep breath and eased into the middle of the exiting crowd. Aubrey Wynne resides in the Midwest with her husband, dogs, horses, mule and barn cats. She is an elementary teacher by trade, champion of children and animals by conscience, and author by night. Obsessions include history, travel, trail riding and all things Christmas. She is a proud member of the Coffee Talk Writers. 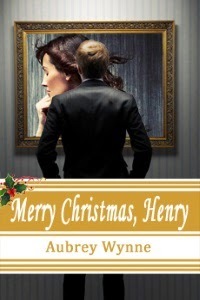 Her debut story, Merry Christmas, Henry, was published in November 2013 by Melange Books, LLC and won E&P Reader’s Choice Best Short Romance 2013. Thanks so much for hosting me. I love your site. Author Spotlight with Tara Fox Hall!